Animal Ark was contacted by a local falconer who is a friend and supporter of our wildlife sanctuary. One of his older birds was in need of a new home. A nice enclosure in an educational environment was an ideal location. In August of 2016 permission was granted for Foreste to become a resident of Animal Ark through a permit process under the United States Fish and Wildlife Service. Foreste is a pleasure to work with as he likes people and is easy to handle during our educational talks. 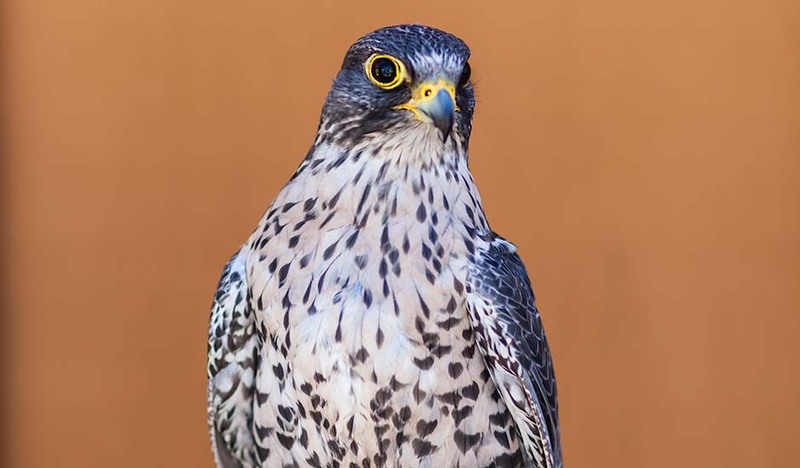 The gyrfalcon is not often seen in bird of prey exhibits at public facilities so we welcome the opportunity to share with our guests the hunting abilities and general biology of this species. Learn more about the Gyrfalcon.